Rep. Markwayne Mullen of Oklahoma has introduced H.R. 1771 which would count one half of the annuity income of a community spouse as income available to the instituionalized spouse for purposes of determining medicaid eligibility. 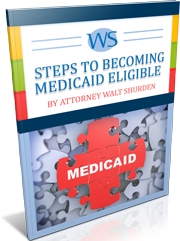 The bill would apply to annuities purchased by the institutionalized person or their spouse if purchased within 60 months of the date of application for medicaid benefits. The bill was introduced on April 14, 2015 and was referred to the subcommittee on health on April 17, 2015. No further action has been reported. If H.R. 1771 were to become law it would, in most cases, directly reduce the amount of income that the spouse of an institutionalized person would have to live one. ?Can I Protect My Disabled Child with a Special Needs Trust? ?Does My Revocable Trust Protect My Assets From Medicaid?